A joint memorial service for Debbie Reynolds and her daughter Carrie Fisher is reportedly planned by their family. Debbie Reynolds, 84, died from a suspected stroke on December 28, while grieving for her daughter Carrie Fisher, who died on December 27 at the age of 60. Carrie Fisher, best known for her role as Princess Leia in the Star Wars series, died after suffering a heart attack on a flight from London to LA. Her brother, Todd Fisher, told the New York Daily News a joint service was “likely”. Debbie Reynold’s son said: “It’s what we want to do, but we’re still working on the mechanics. Todd Fisher confirmed to ABC News that there is currently no date or location for the mother-daughter funeral, but plans are in process. 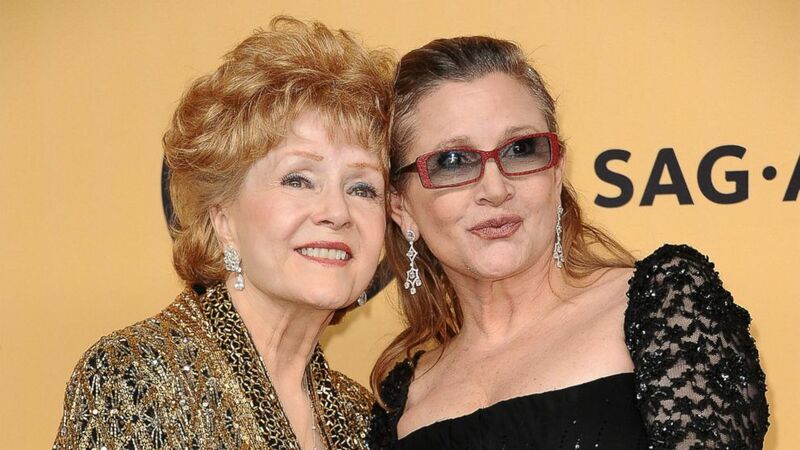 Bruce Bozzi, the stepfather to Carrie Fisher’s only child Billie Lourd, said he was “honored” to be part of the Fisher and Reynolds family, posting a graduation picture of the 24-year-old Scream Queens’ actress alongside her late mother and grandmother. He wrote: “It’s an honor to be your stepfather.